We are excited here at ACMC! 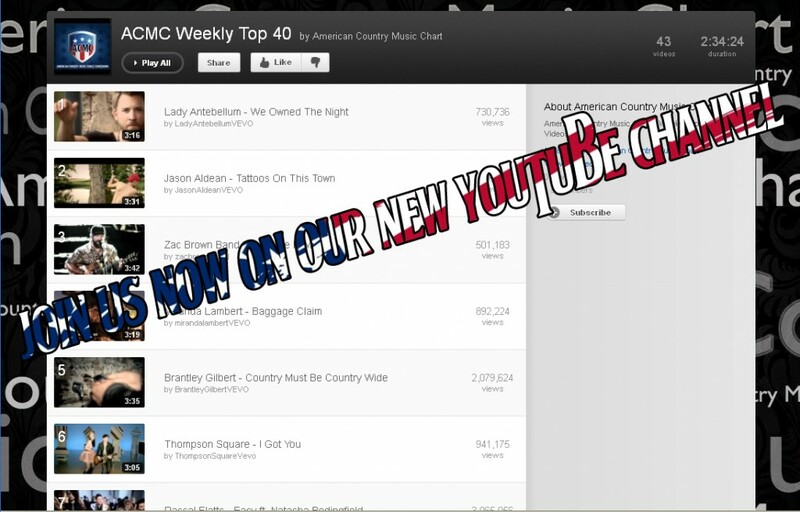 The American Country Music Chart Channel on Youtube.com is live and features the ACMC Weekly Top 40 Music Chart videos and the Artists’ spotlight. We are committed to giving you the best in Country music content and ask that you please visit our page and subscribe to show your support. We are in the process of adding several other charts to the site and our Youtube channel as well so check back weekly for updates. Thanks in advance!